Home » Blog » HCG » Do HCG Diets Really Work? The answer to the title question is, “yes” – but only if you stick to it – and that’s true for any weight loss plan. In “The Weight Loss Cure,” Trudeau chronicles the research and findings of the late Dr. A.T.W Simeon, who made remarkable breakthroughs in weight loss of obese patients. For years, Dr. Simeon injected patients with a glycoprotein hormone called hCG (Human Chorionic Gonadotropin), a hormone only produced during women’s pregnancies – and produced dramatic results. 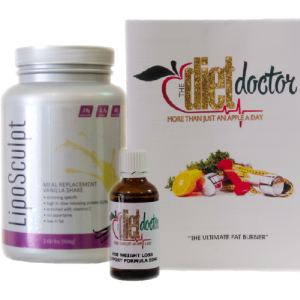 A low calorie diet (500-800 calories per day) is also an essential part in the beginning of hCG Diets because it helps to rid your body of abnormal fat and begin the transformation of your body image. Following an hCG Diet plan also regulates a listless metabolism, which is necessary for your body to effectively burn off future calories. Obesity is becoming a serious problem in today’s society, and hCG Diets may hold the solution to our future health. Obesity is a big part of the reason for health problems such as diabetes, heart attacks and strokes, not to mention low-self-esteem and poor self-image. The fact that those who partake in hCG Diets tend to keep the weight off is an extra benefit. Weight loss is now one of the most money-making pursuits today. People everywhere are joining weight loss clubs, drinking and eating diet drinks and foods and purchasing fitness equipment in an attempt to lose calories and get in shape. hCG Diets are relatively inexpensive and there are no special foods, fads, pills or any other form of weight loss treatment that you need to adhere to. The hCG hormone is usually injected once a day, in the morning. Before Kevin Trudeau included hCG Diets in his book, he utilized the treatment for himself – losing 22kgs in six weeks. In an infomercial, he touted that no exercise was needed to achieve the weight loss and that his energy level soared while his eating habits drastically changed for the better. What are the benefits of HCG? ← Change Your Life In 30 Days!